Some children have severe and persistent difficulties with mathematics and are resistant to instruction. 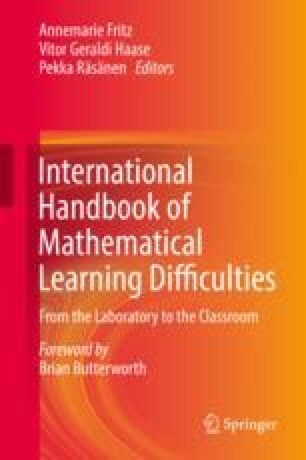 In this case, they are labelled as individuals with mathematical learning disabilities (MLD). In this chapter, the prevalence of MLD and the criteria used to define MLD in the UK, Germany and Belgium are described. Moreover, an introduction on the big picture and the PISA and TIMMS results as well as information on the educational policies is given. Finally the chapter elaborates on theories and educational practices and the role of research guiding practice in the Middle European countries.